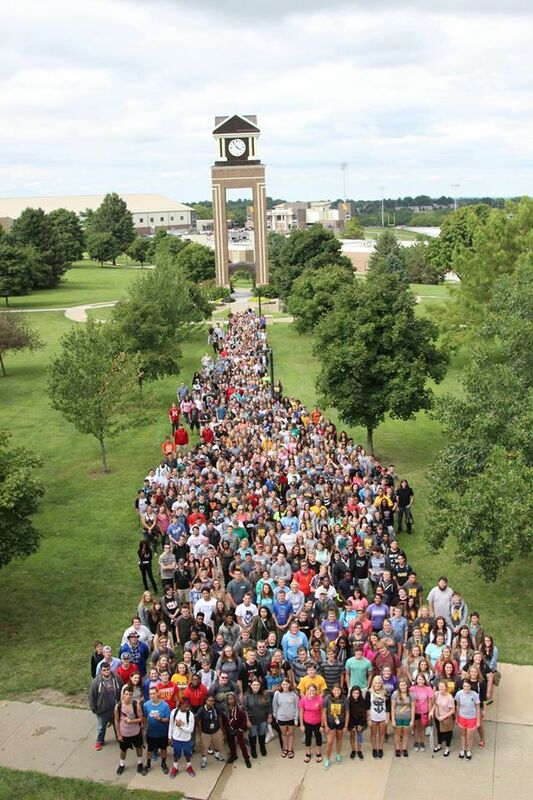 Members of the Class of 2020 pose for a group photo during Griffon Edge 2016. 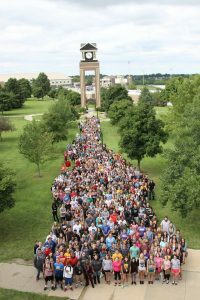 Missouri Western State University reported an enrollment of 5,388 on the official census date of Sept. 28, including a record 243 graduate students. The total enrollment is about 3 percent below last year’s total. One reason may be the improving economy, said Dr. Paul Orscheln, associate vice president for enrollment management and student retention. The retention rate, or percentage of last year’s first-time full-time freshman class that returned for their sophomore year, is the highest in the last nine years and the second highest on record. The number of new students, including first-time full-time freshmen and new transfers, is up 3.4 percent over a year ago.